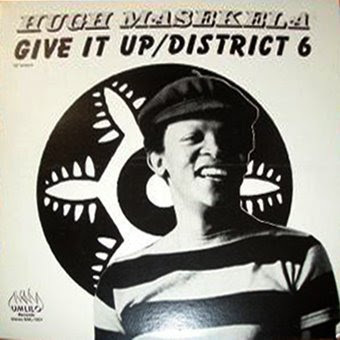 This LP emerges as a product of so many polarities and cross-roads that continue to challenge the fusion of South African identities – modern/traditional; urban/rural; north/south; foreign/local. Imagine a sixteen-year old Soweto schoolboy in 1965 identifying with the hippie movement and forming a band called “The Beaters”. Performing bare-foot in mandarin-collared white jackets, Sipho ‘Hotstix’ Mabuse Selby Ntuli, Alec Khaoli and Monty Ndimande became a hit with the urban hip black crowds in Pretoria and Johannesburg. Their first album “Soul-A-Go-Go” was released in 1969. American Soul and Jazz was assimilated into what became known as Soweto Soul. "We listened to mostly white radio stations, the influences were The Beatles, Rolling Stones, Led Zep, Deep Purple, and the Woodstock festivals," Mabuse says in an interview with Miles Keylock. The question arose: 'why all those overseas influences, when there’s all these other influences just across the border?'" Mabuse recalls how urban and locally specific – perhaps its own sub-cult – their blend of music was. When the Beaters toured Swaziland, Botswana and Lesotho they struggled to attract any attention. The Beaters resorted to playing some mbaqanga songs to pull the crowds in. (see Gwen Ansell’s “Soweto Blues”). 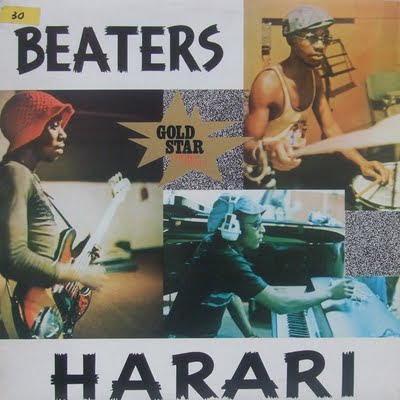 In 1976 the Beaters toured Rhodesia (now Zimbabwe) their success turned a three-week tour into three months. Stories go that they helped smuggle liberation movement recruits out of South Africa in their amp boxes. Their new song “Harari” was such a hit with the township residents of Harari in the capital Salisbury that everyone began calling the band Harari – and so it was assimilated and stuck. This LP reflects the band’s eclectic influences. 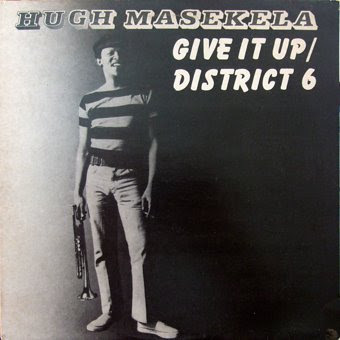 The second track "Love, Love, Love" might not have been out of place at Woodstock, while the third – Inhlupeko Iphelile – was an optimistic statement (the distress is over) and is probably in response to the South African Jazz classic “Inhlupeko” played by The Soul Jazzmen in 1969. “Push it on” has some soul and funk roots; Thiba Kamo with jazz fusion influences, and “Whats Happening” firmly rooted in the ‘bump jive’ tradtition. 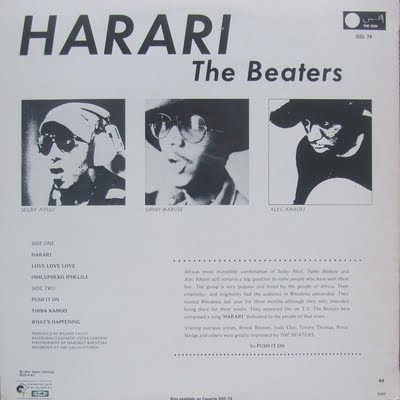 Harari was recorded before band-leader Selby Ntuli died in 1978. This LP was re-released in 1981 on the As-Shams label. It was also released on the A&M label. Enjoy.